Inspire variety with this versatile zucchini muffin recipe. Muffins have the perfect size for packed healthy school lunches or an in between snack. With the addition of shredded zucchini and basil they add to your daily fruit and vegetable consumption. For kids this recipe is easy enough to achieve a presentable and yummy result. This recipe is less moist than this of the zucchini bread which uses onions. 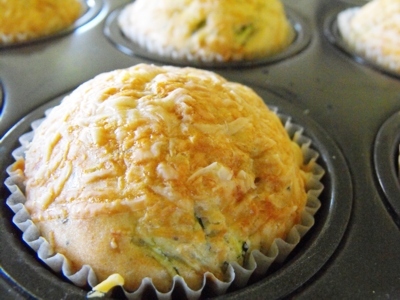 I love the taste of baked parmesan over these zucchini muffins its crunchy and full of flavour a great addition to an already flavourful muffin. The amount makes 12 zucchini muffins or one zucchini bread (22cm/13cm). 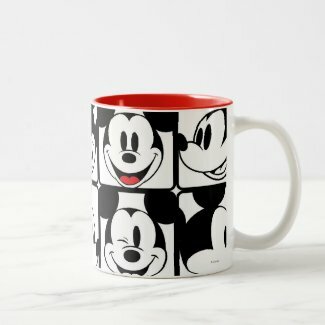 Muffins have the greater appeal to fill a school lunch box or having the better presentation form for shared school lunches or pot luck parties. Though mini muffins, having a one bite size, are attractive too. In preparation to the zucchini muffin recipe wash and shred two small zucchini, which should make about two cups and grate the parmesan. Then pre-heat the oven to 200C°. Convert! 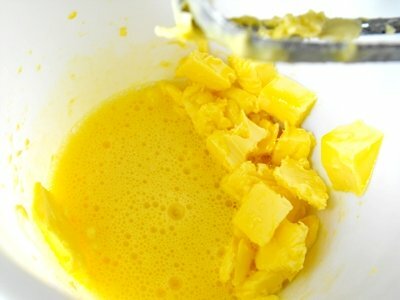 Mix with the handmixer the softened butter and the eggs really well, until a soft consistent texture is reached. Blend in a second bowl all dry ingredients together. 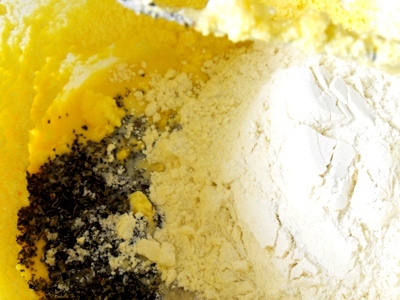 This includes the two and a half cups of flour, the quarter cup of sugar, one teaspoon of baking powder, the tablespoon of dry basil, teaspoon of salt and the 1/4 cup of grated parmesan. Now stir gradually the mix of dry ingredients into the bowl with butter and egg while slowly including the three quarters cup of milk. 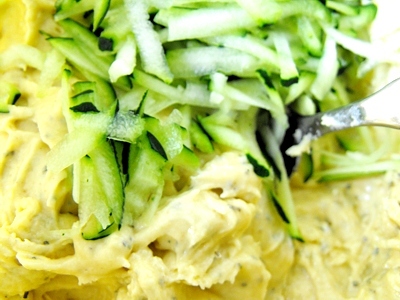 Fold under the two cups of shredded zucchini. Now spread the dough into the muffin forms. 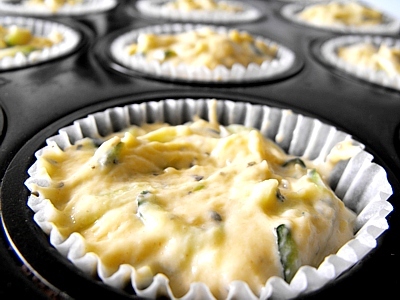 Baking time is about 30 minutes for the zucchini muffins. Should you decide on a zucchini bread instead, use a loaf form and the baking time the increases to 50 to 60 minutes. adjust the baking time accordingly. We thrive on feedback so drop us a note how you liked the zucchini muffin recipe, any comment or suggestion. Muffins or Cupcakes, sweet or savoury are fantastic to eat on the go to bring on a shared lunch or for any festive event as well as a dessert, snack or special treat. Often they are easy to make and can be decorated as simple or as exuberant as the situation demands. Take the chance to exhibit your best or most beautiful cupcakes or muffins. Build a page and feature your recipe with up to four photos.